Drone Research to Optimise Bee Pollination » UAV DACH e.V. North Dakota is the nation’s leader in honey production. The University of North Dakota in Grand Forks is a leader in drones and drone research. That led Bee Innovative, an Australian company, to pair up with UND to enhance the company’s current drone technology that tracks bee movements and pollination patterns, the two companies announced Jan. 30. “It’s a match made in heaven,” David Dodds, a UND spokesman, told Agweek. The relationship, recently recognized in a “memorandum of understanding” signed on the UND campus, is still in its early stages, and many details still need to be worked out. But there will be a role for North Dakota beekeepers who want to participate in the project, Dodds said. North Dakota led the nation in honey production in 2017 for the 14th straight year, with producers with five or more colonies totaling 33.7 million pounds of honey, according to federal government statistics. Bees are important for more than the honey they produce. They also play a crucial role in pollinating crops in the area and worldwide. The collaboration with UND will work to upgrade Bee Innovative’s current drone platform, “BeeDar”, which is used to track bee movements and pollination patterns in real time by Australian farmers, according to the statement from UND and Bee Innovative. 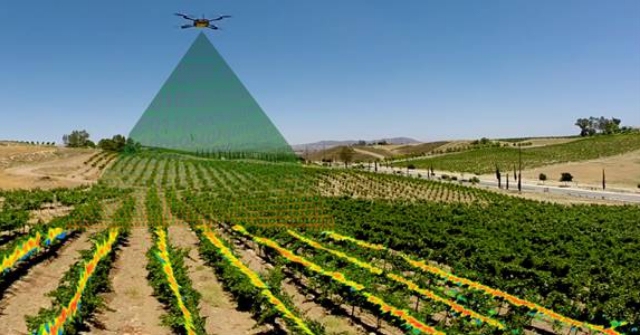 The goal is to “address current limitations in autonomous navigation that render drones incapable of recognizing and avoiding nets and other obstacles that can cause collisions and costly damage to equipment and crops,” according to the statement. Extending the benefits of drones to “farmers working in more complex environments, such as under netting in orchards, is an exciting prospect for growers and technology venders alike,” Lonnie Thompson, of New Rockford, N.D., and president of the North Dakota Beekeepers, told Agweek he’s not familiar with the project but looks forward to learning about it. Kate Lyall, chief technology officer and co-founder of Bee Innovative, said in the statement. Though commonly known as drones, the aerial equipment goes by a number of other names, too, including unmanned aircraft systems, or UAS. UND established the first-in-the-nation UAS degree program in 2009, according to information from the university. “We are pleased to develop this strategic international relationship, leveraging our joint international expertise to solve real problems that directly benefit North Dakota and the entire international community,” Paul Snyder, director of the UAS aviation program at UND, said in the statement. 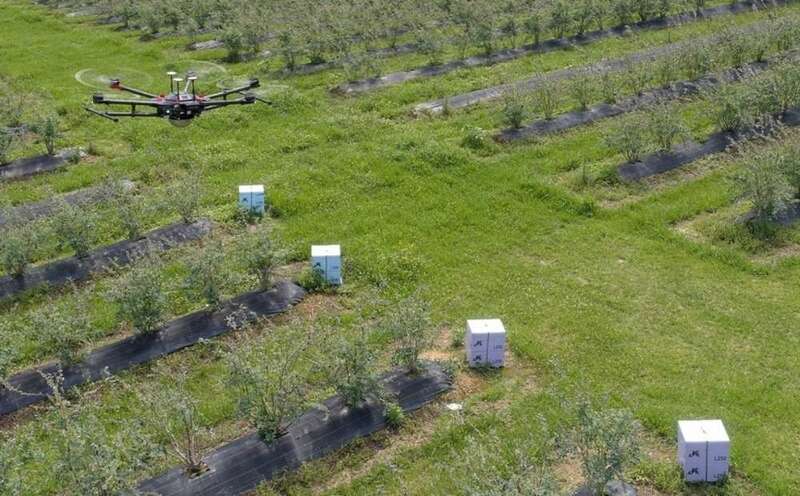 UAV DACH: Beitrag im Original auf https://www.uasvision.com/2019/02/06/drone-research-to-optimise-bee-pollination/, mit freundlicher Genehmigung von UAS Vision automatisch importiert. Der Beitrag gibt nicht unbedingt die Meinung oder Position des UAV DACH e.V. wieder. Das Original ist in englischer Sprache.